A long drink of cool water is what you crave when reading Dianne Warren’s new book. 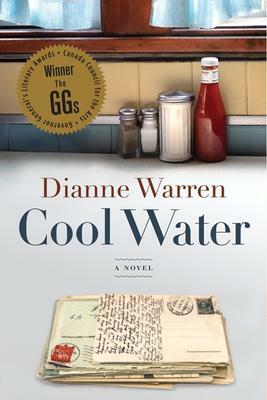 Suitably titled “Cool Water” the novel is set in the dusty sand dunes of Juliet, Saskatchewan. There is beauty as well as loneliness in the oasis on the edge of Little Snake Sand Hills. Warren lives in Regina, Saskatchewan and she has captured the mood of the Prairie people. Their day-to-day lives are a far cry from the life in Ottawa. For one thing, there are lots of horses, including one that escapes his trailer and the adventures getting him back to his owner. The people are unassuming and matter-of-fact but they have hang-ups we all recognize and Warren describes them in a warm-hearted and witty way. There is the man afraid to take responsibility for the farm his adoptive parents left him; the shy middle-aged couple unable to acknowledge their feelings for one another. Dianne Warren is the author of three books of short fiction and three plays. She has won the Globe and Mail Best Book of the Year, the Marian Engel Award for a woman writer in mid-career, and has been shortlisted for a Governor-General’s Award for Drama in l992. This follow-up to Valerie Knowles’ first edition of Capital Lives is a welcome addition to the growing literature concerning Ottawa’s more interesting inhabitants. In short, lively sketches feature well-known early settlers, such as Braddish Billings (1783-1864), to more modern, but little-known personalities like Isabel Percival (1903-1998), an astute businesswoman who devoted considerable time and effort to a number of worthy local causes. Along the way, Knowles introduces a fascinating cast of characters that will leave readers looking forward to a third volume. Alexander McCall Smith has written another story about Precious Ramotse, the legendary Lady Detective of Botswana, and perhaps the most beloved of the many characters he has created. As we all know by now, McCall Smith is author of the Isabel Dalhousie series, the Portuguese Irregular Verbs series, the 44 Scotland Street series and the Corduroy Mansions series. The secret to his success may lie in the fact that he keeps each series close to home. His people don’t travel far. We get an intimate picture of their day-to-day lives, walking to work, seeing their friends for a tea or coffee, with the occasional irregular happening which of course makes the story. In the case of the No. l Ladies Detective Agency series, we get vivid pictures of the sun setting over the Kalahari and Mma Ramotse sitting beneath an old acacia tree – at all times of day. 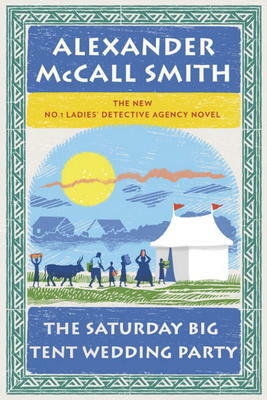 McCall Smith used to live in Africa and is now attached to the University of Edinburgh -both settings he knows well. In this one, Mma Ramotse is preoccupied in getting her sharp-tongued Assistant safely married. But the detective cases still come in, including quite a violent one involving the killing of some cattle in a remote cattle post. Precious is well-loved and trusted and her method of solving crimes is to get everyone involved talking to her. McCall Smith is professor emeritus of medical law and has served on many national and international organizations concerned with bio-ethics. His books reflect his interest. Rather than stick to superficial emotions he tells a real story that deeply touches the human heart. This is one of them. Susan Juby has concocted some far-out misfits for her new novel. But they are funny and they do grab your attention and finally your affection. The story circles around a 20-year old American girl, living in New York and tired of her publishing job and longing to somehow “get back to the land”. Out of the blue she gets her dream when an uncle in Canada leaves her an inheritance of 30 acres of farmland on Vancouver Island. On checking out her new land, Prudence finds an assortment of neighbours that seem to come with the deal. There is a retired foreman, living in a cabin, doing odd jobs and playing the guitar. An alcoholic drop-out highschooler, hiding from a mild scandal with his drama teacher, comes from the house across the road and asks for work. 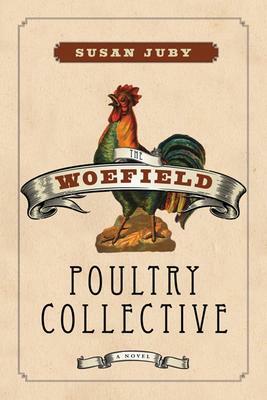 Finally, an eleven year old girl, with a collection of prize-winning chickens, begs to join in and get away from her parents. Prudence finds the so-called farm is growing almost nothing, and the bank is threatening to close it down. The book tells of the extraordinary measures all these people take to help keep it going. The last proves quite thrilling when the guitar-player turns out to have a world-famous brother in the music business and the ensuing concert brings in the entire neighbourhood and – we are quite sure – saves the farm. Susan Juby lives with her husband on Vancouver Island and gets a good feeling about the beautiful and often gently eccentric place. She has written a number of novels, including the best-selling Alice series.